When Amal Neerad made his directorial debut through Big B (2007), he didn’t follow the existing patterns of commercial filmmaking in Malayalam cinema, but dismantled it altogether and devised a new style that has come to be his signature. 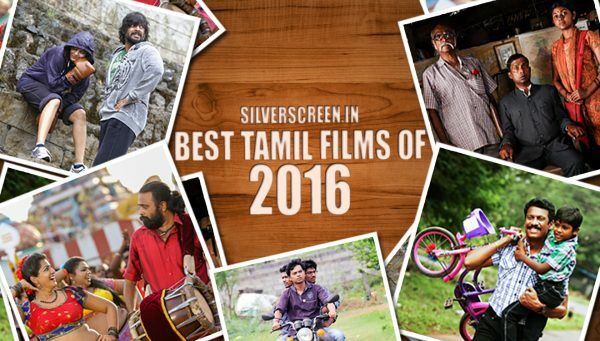 He cherry-picks ideas from the world cinema that fascinates him, tweaks and rehashes them. The plot barely matters in his films. The focus is on their highly-stylized visuals, hip music and production design. The films are often accused of being heavily ‘inspired’. In Varathan (Outsider), Amal Neerad brings Sam Peckinpah’s Straw Dogs to the misty high-lands in Idukki, the region that served as the location to his Iyyobinte Pusthakam. The films hold similar views about the society. In the latter, a period drama, Neerad concluded that violent defense was the only way out in a place that wasn’t guarded by the law. In Varathan, Abin (Fahadh Faasil), the protagonist, is pushed to a point where he has to shun his civilized demeanor for savagery, to protect his family and honour. Like how he had done in Iyyobinte Pusthakam, Amal Neerad turns instances of violence in the plot into the most significant moments in the film. Everything that Varathan shows in the first two hours is a warm-up to its final leg where around a 30-minute-long sequence of stylized violence unleashed by its protagonist, is served to the audience like a delicious dessert. An LPG cylinder explodes, a frying pan turns into a lethal weapon, and a lovely English bungalow becomes a battle ground where men are burned alive and shot to death. The protagonist, a metro-sexual who had in an initial scene refused to kill a cockroach, turns into a dexterous killing machine. His demure wife chips in. But you barely get the time to stand, think and doubt the rationality of this transformation. Composer Sushin Shyam’s background score is switched to feverish levels, and the editing is smart and rapid. This adrenaline-pumping finale is where Amal Neerad invests all his energy in. Violence is the selling point..
Abin and Priya (Aishwarya Lekshmi) a married couple, leave their cushy life in Dubai to move into Priya’s ancestral property, a bungalow in the middle of a spice estate, in Idukki. It’s the village where she grew up. She believes she knows the place well enough to stay out of trouble, but she couldn’t be more wrong. Their first stop in the village is a tea shop where the locals hangout. The couple is stared at with suspicion and an unpleasant curiosity. Gradually, more characters come into the picture. Priya becomes an object of lechery, and at one point, things go very wrong. Never does the audience feel that the couple are welcome in this village. The background score is designed to evoke a sense of unease, and there are several jump-scare instances. The atmospherics are akin to that of a James Wan drama, sometimes overtly done. Only that here, the evil elements are men in flesh and blood. Amal Neerad presents the villagers as a mob, and sets his premise – the civilized urbanites versus the rural savages, a ‘heart of the darkness’ trope that has come to be so overused in our cinema. There is a lack of political correctness here. How are we supposed to believe that an entire village is populated by lecherous evil men? The problem is, while on one hand the film confirms the general paranoia about the country’s rising mob culture, on the other, it reflects the upper-class film industry’s superiority complex. Overnight, a demure law-abiding urban couple become defendants of their land, and saviors of a vulnerable lower-class boy. There is an instance where the couple is seen coolly having their morning coffee on the courtyard, as blood and dead bodies lay scattered around. And to an extent, the film commits to sexism and voyeurism as much as its protagonists fight it. Several shots of Priya are from a stalker’s point-of-view, accentuating the sweat drops on her neck and her bare shoulders. 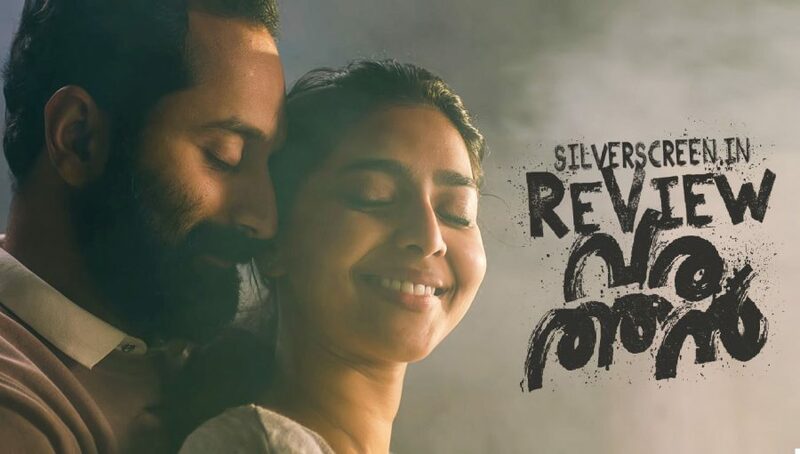 On a deeper level, Varathan is Priya’s tale. It’s she who gets wounded the most physically and psychologically. Yet the film isn’t hers. She is just a means, while her husband is around whom the film sets itself. There are also several things to like about the film. Fahadh Faasil, for one, delivers a cracker of a performance, gliding through the action sequences and the preceding portions where he puts up a serene face with similar ease. 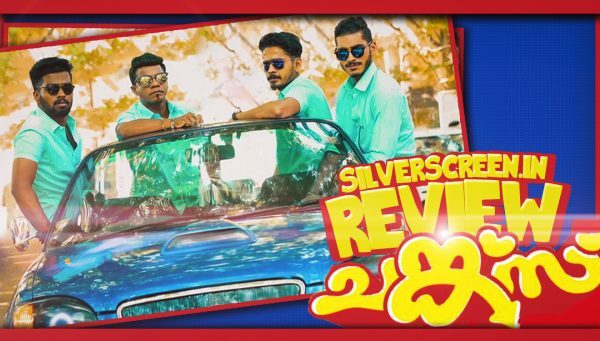 Aishwarya Lekshmi fades in comparison, yet perfectly fits into the film’s terrain. The conversations between Abin and Priya are examples of good-writing. These scenes unfold naturally, revolving around everyday things that subtly reveal so much about their life. At the same time, in the song sequences, they resemble two designer-wear models in an outdoor shoot; detached yet connected by the product they have agreed to sell together. The scenes after the incident of sexual violence are sensitively staged. She pushes Abin away as he attempts to console her. In her eyes, his gender makes him one of those men. In a shot where the villains are seen driving past Abin’s car, after attacking a man and a woman alleging ‘immoral traffic’, you see a writing on the wall that hails the controversial legislator PC George. One of the antagonists is an army man who doesn’t hesitate to join the mob. 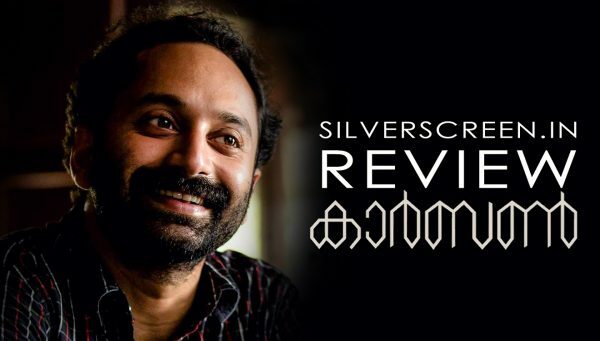 In those tiny details that make a commentary of the times we live in, Varathan shines and rises above the league of mediocrity. 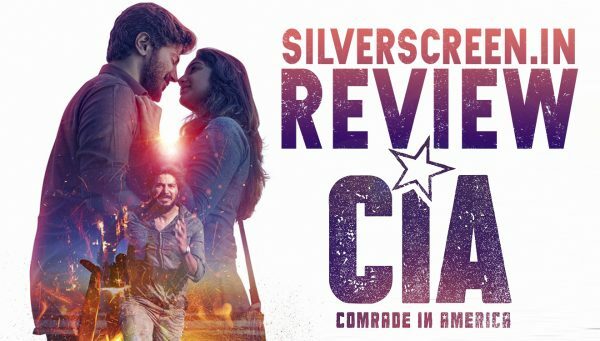 It might take longer for Amal Neerad to establish himself as an ‘original’ filmmaker who doesn’t have to comb through DVDs to keep his career afloat, nevertheless, Varathan brings him back to a sparkling form after a lackluster CIA. Unlike several of his peers, he has a fine understanding of the art of ‘mass’ filmmaking. He doesn’t just garnish the scenes with punch dialogues, but choreographs the scenes into something unattainable and exotic. 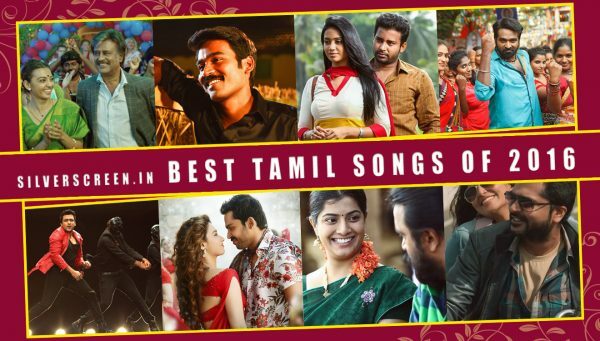 When it’s him calling the shots and pulling the strings, we can only sit back and cheer on the violence that unfolds on screen as though Munnar is the wild West. The Varathan review is a Silverscreen original article. It was not paid for or commissioned by anyone associated with the movie. Silverscreen.in and its writers do not have any commercial relationship with movies that are reviewed on the site.